I remember the days when we filled paper forms with questions, designed attractive comment boxes and rushed after customers around the store in order to convince them to leave a piece of feedback on the products or services we offer. I was the head of Starbucks Coffee in Turkey back then. We knew… But just didn’t have THE tool. Today, – big or small, commodity or luxury – all brands have grasped the importance of customer experience (CX). Temkin Group (a very insightful CX consultancy company that I closely follow and respect) identifies 3 pillars that customer experience rests atop. This is basically the end result of the purpose of contact. How successful was the customer in achieving his objective for coming in to the contact point? How much effort has the customer had to spend in order to achieve this result? As you would guess: Lesser the effort better the experience. Resulting emotion(s) of the products/services offered at the contact point. How was the customer feeling after leaving the contact point? Now that the world is small, competition is fierce, differences are negligible; and CX is the hottest topic. There are many consultants out there trying to help brands design and improve their customer experience. They lay out the customer journey maps and try to accurately identify gaps to close. Well, who can tell you these gaps, better than your customers, right? Staffino – a global fast growing and innovative platform and mobile app from Bratislava, offers all sorts of organisations (from schools to retailers, hospitals to hotels, airports to museums, gas stations to sports competitions – you name it) an effective and super-easy way to closely listen to customers. Via Staffino, customers no longer keep their secrets to themselves. What product or service are you missing? How is the service experience at your locations? Which staff member serves customers best? Furthermore, happy customers can directly appreciate the service performance of the staff by leaving them “Thank-You”s via Staffino. These are passed through company managers for personal recognition. Boston Consulting Group’s (BCG) latest survey on happiness at work identifies “Appreciation for work” as the #1 factor. No wonder why “Thank-You”s left via Staffino not only reinforces good service but also raises staff motivation and drops turnover rates. Turkey took notice and now Istanbul Sabiha Gökçen International Airport is the first International airport to invest in this powerful #CX monitoring and management tool. 3. Leave a Thank-You (positive experience) or a Suggestion (negative experience) by explaining your reason in a few words…. That’s it! Now lean back and relax… You will definitely hear from the airport management – may be even while you are still there ! 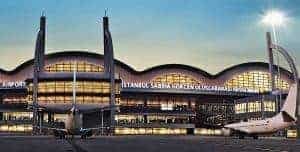 We would like to congratulate İstanbul Sabiha Gökçen International Airport’s management team in their decision to invest in to passenger experience via Staffino. Your line of work does not matter, Staffino will add value to your business. Hint: We are about to start with a private law office to provide their clients an opportunity to rate the service of their lawyers. You see, with Staffino on your side, the SKY is the limit! 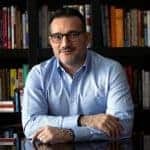 An Entrepreneur – Retail Veteran – Inspirational Speaker – Team & Executive Coach & Mentor – Experienced Trainer – Author.